Home » Carpenter Bus Blog » Whoop, Here it is! CarpenterBusParts.com Launches!!! 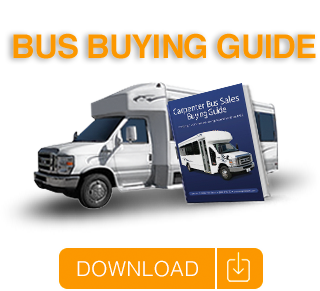 There are plenty of reasons to choose Carpenter Bus Sales as your bus provider. Another great reason is our 24/7 online parts store. Carpenter Bus Sales has launched an exciting, brand new division CarpenterBusParts.com!! Everything you need for your bus can be found in this one-stop shopping location! We offer bus parts from numerous well-known and distinguished vendors and manufacturers within the industry. Our parts store is open 24 hours a day and 7 days a week. You can shop from the comforts of your own home whenever is convenient for you. With hundreds of parts online and thousands more in our warehouse, Carpenter Bus sales can help you keep your bus up and running for years after purchase. We carry parts for Starcraft, Glaval, El Dorado, Champion, Turtle Top, Thomas, Girardin and MANY others. In addition to all of the new buses in our inventory, we have plenty of used shuttle buses for sale. You can purchase a used bus with confidence knowing that Carpenter Bus Sales can provide you with all of the parts and accessories you need to keep your used bus on the road for years to come. We carry parts from the country’s leading parts manufacturers so you can know you are getting the best quality products. Whether you’re looking to enhance your bus’s interior, improve the look of its exterior, or just need specific parts to maintain its durability, CarpenterBusParts.com has what you’re looking for!